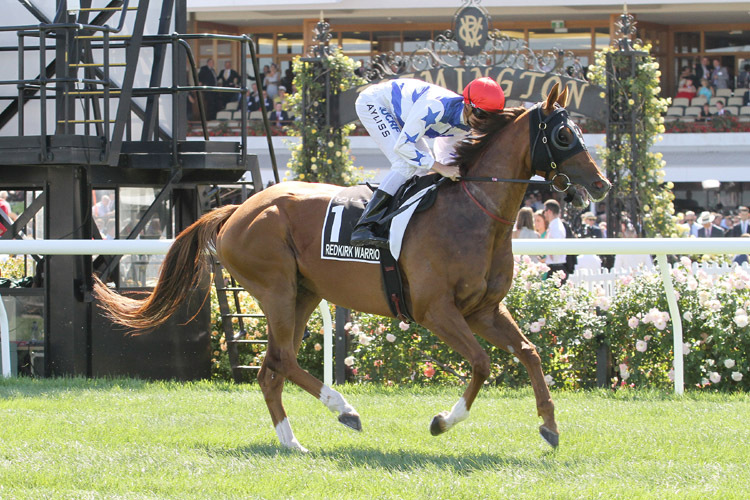 Redkirk Warrior headlines Regan Bayliss's book of rides at Flemington in the VRC Sprint Classic while he has chances in support races including Yulong January. Jockey Regan Bayliss believes a decision to bypass the Carbine Club Stakes with lightly raced three-year-old Yulong January can reap a reward in a Listed race at Flemington. Yulong January has won three of his four starts with his only defeat a second to Ranier in the Listed Gothic Stakes at Caulfield. The colt was entered for last Saturday's Group Three Carbine Club Stakes (1600m) at Flemington, won by Ranier, but was scratched when he drew barrier 15 of 16. Yulong January instead lines up in Saturday's Springtime Stakes with Bayliss confident he will prove hard to beat. "He drew wide in the Carbine Club and I'm glad he got scratched there because I think this is the perfect race for him on Saturday," Bayliss said. "He's drawn lovely in barrier three. "There's a few progressive horses in it but I think he's going very well, he's rock-hard fit and Flemington should suit him." Bayliss has six rides at the final meeting of the four-day Melbourne Cup carnival headlined by Redkirk Warrior in the Group One VRC Sprint Classic. Bayliss has won three Group One sprints at Flemington on Redkirk Warrior and is hoping the gelding is back to his best at his favourite track after failing in two feature sprints in England in June and July. "It's a very competitive race and you can make a case for almost eight of the other runners. It's one of the strongest races he's contested so he's going to have to be at the peak of his powers but I'm very happy with the way he's come up this preparation," Bayliss said. His other rides include Sully in the Group Three Queen Elizabeth Stakes (2600m) and last-start Moonee Valley winner Nettoyer in the Group Two Matriarch Stakes (2000m) for mares.